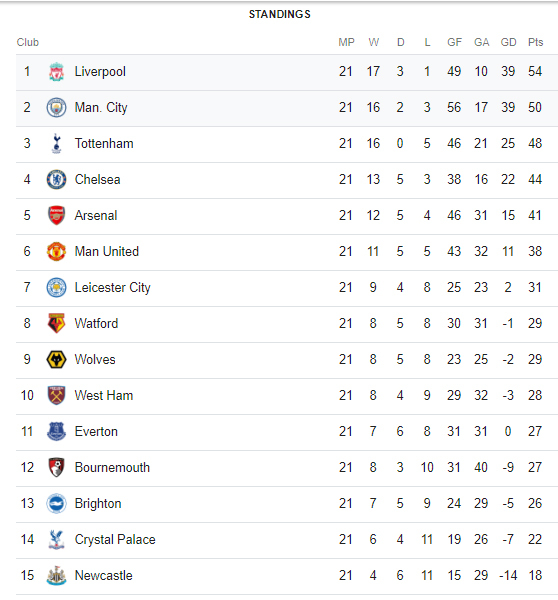 Manchester City reignited the Premier League title race as they ended Liverpool’s 20-game unbeaten run this morning. Man City defeated Liverpool 2-1 to reduce their lead at the top of the table to four points. 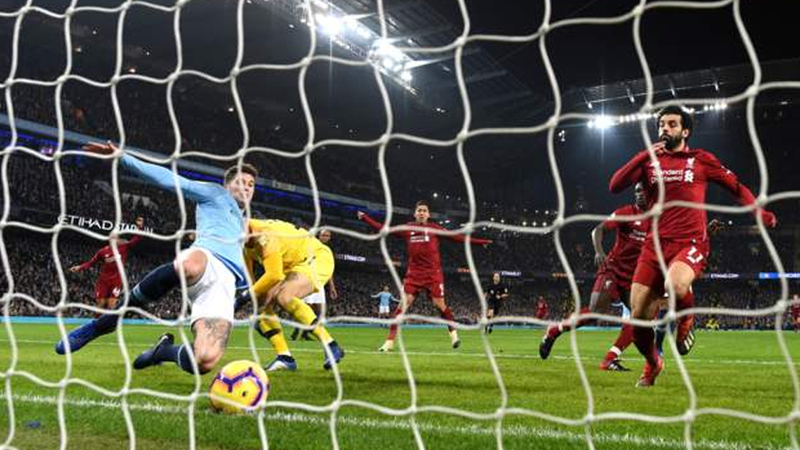 This was only Man City’s second win in their last 12 matches against Liverpool in all competitions. Liverpool have lost 10 of their 25 matches. Meanwhile, Liverpool still leads the standings with 54 points while Man City is four points behind in second place. Tottenham is third with 48 points followed by Chelsea with 44 points and is sitting on fourth place while Arsenal rounds up top 5 with 41 points.